Custom Blinds By Gary Twiggs offers a vast array of window treatments that will both beautify and protect your home. To learn more about our window treatments, contact us in Cape May Court House, New Jersey. Shutters are the ultimate window treatment. 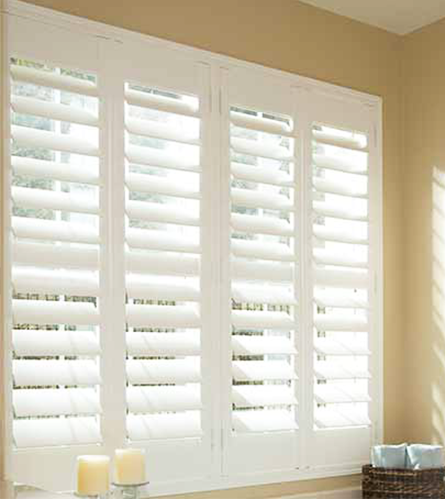 There is no window covering that enhances the beauty of your home and sculptures light as elegantly as shutters. When one thinks of custom shutters, the words that come to mind are elegance and functionality. Considered by many to be the highest quality window treatment available today, shutters give you total command of your space by allowing minute or grand changes in your view, privacy, and light. Whether traditional or contemporary, your home's decor will be complemented by shutters. Application of LLumar high-performance window film greatly enhances the look, functionality, comfort, and energy efficiency of your windows. The use of glass in architecture, while beautiful, creates a host of problems ranging from excessive glare, heat build-up, and high energy costs to the premature fading of carpets, furniture, and draperies. LLumar window film can alleviate these problems while providing increased comfort and lower overall energy costs.